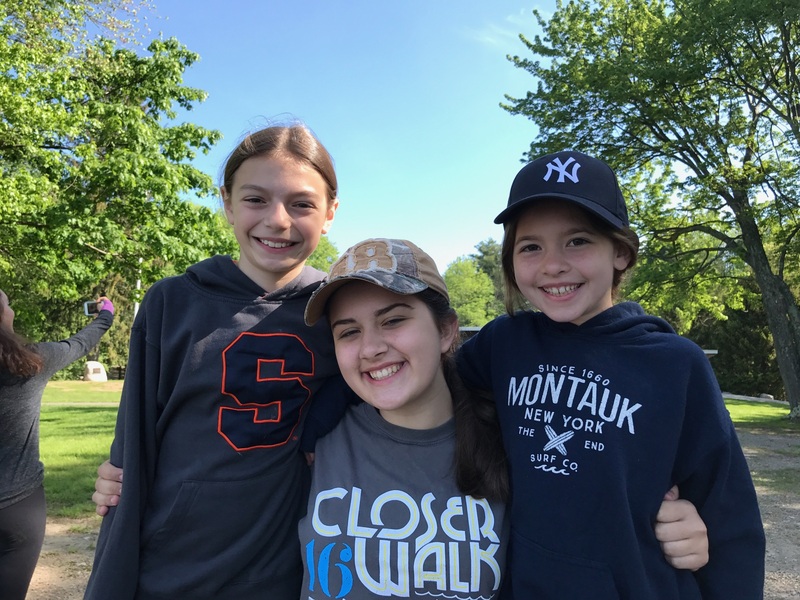 Welcome to The Anthony Senerchia Jr. ALS Charitable Foundation Website. Please come down to Glover field in Pelham this Saturday, 7/28 to support the Anthony Senerchia Jr ALS Charitable Foundation. 100% of all donations and proceeds will benefit ALS research. See the Strike out ALS Softball Tournament or EVENTS pages for more information. It is with great sadness and a very heavy heart that we announce the passing of Anthony Senerchia. Anthony past away early in the morning on November 25th, 2017. 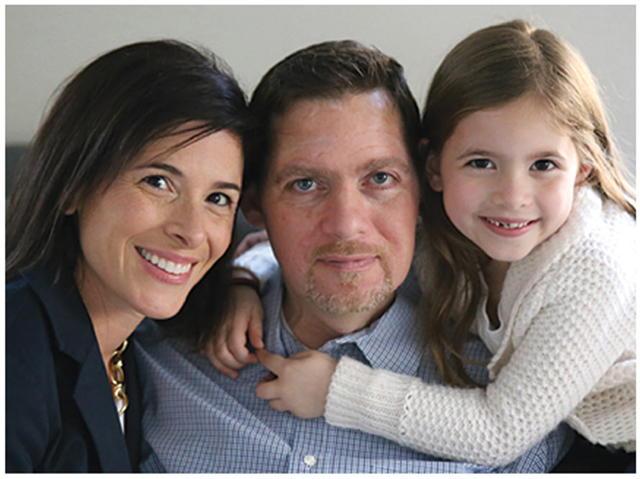 Anthony fought a courageous battle with ALS and we thank you in advance for your continued support to the Anthony Senerchia Jr. ALS Charitable Foundation. 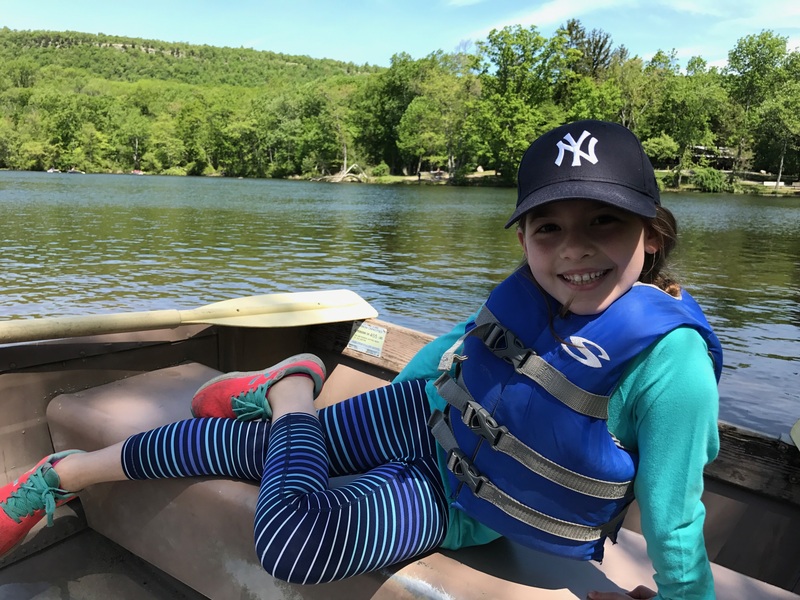 The foundation will continue to use 100% of your donations to fund ALS research and to aid families whose loved ones have been stricken with the disease. To view Anthony’s obituary, please click on the link below. 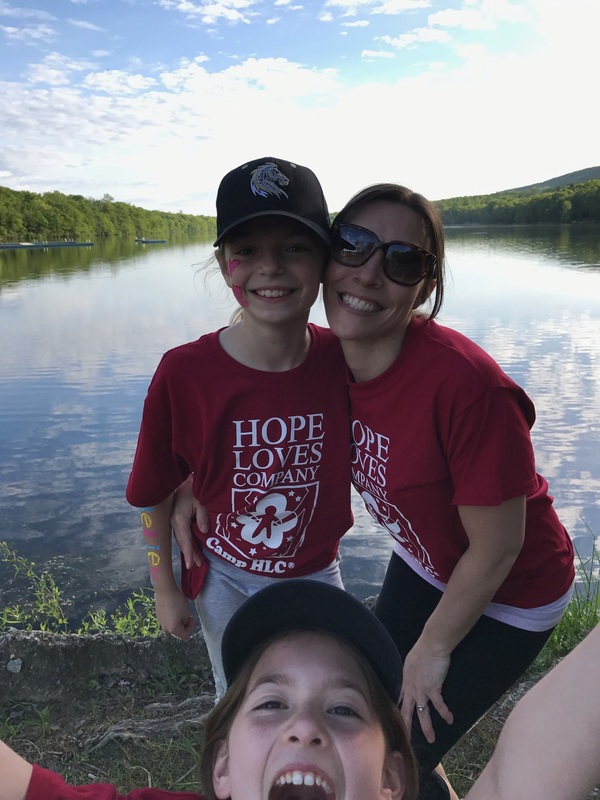 In May of 2017, Taya Senerchia attended an incredible sleep away camp in Pennington New Jersey called “Hope Loves Company”. 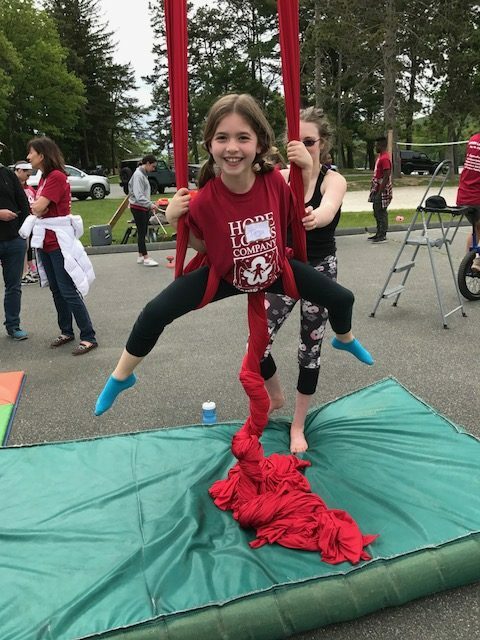 This camp is exclusively for kids whose parents have ALS. 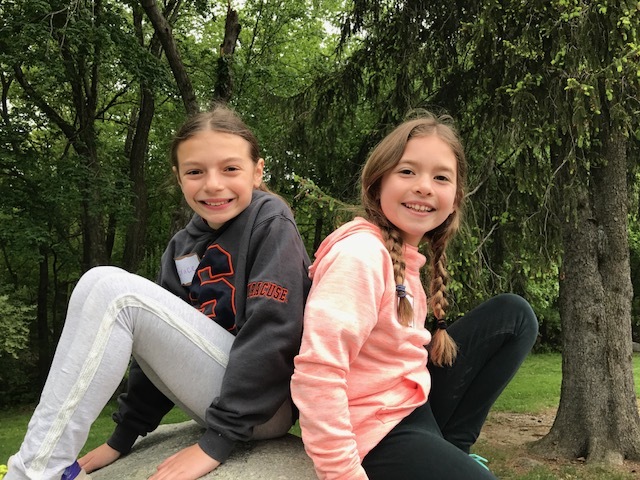 This camp is an incredible opportunity as it is sponsored by private donors and free to these children. Taya had an amazing time and made so many new friends. 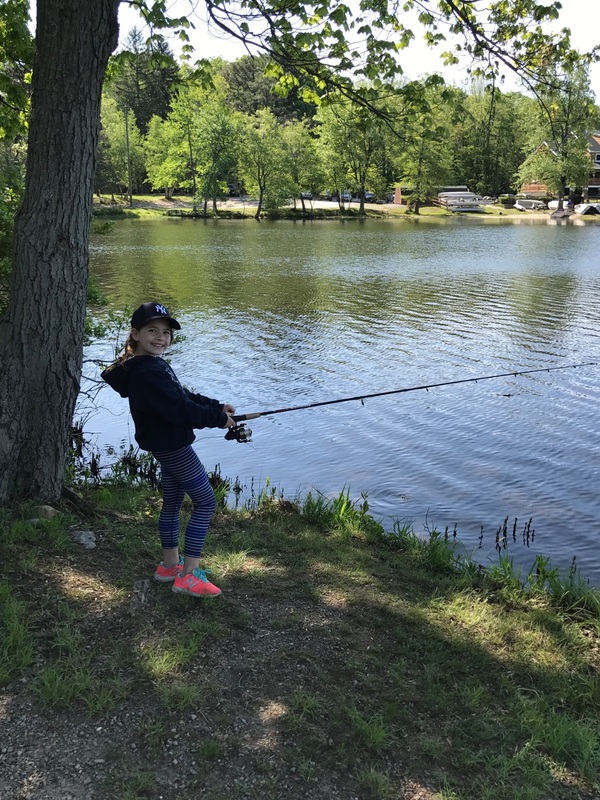 Hope Loves Company has fantastic events such as fishing, canoeing, candle making, bunjy jumpig, a circus, chinee yo yo, rock climbing, strength building and much more. A great big thank you to all the donors, staff and great people that make this camp possible. 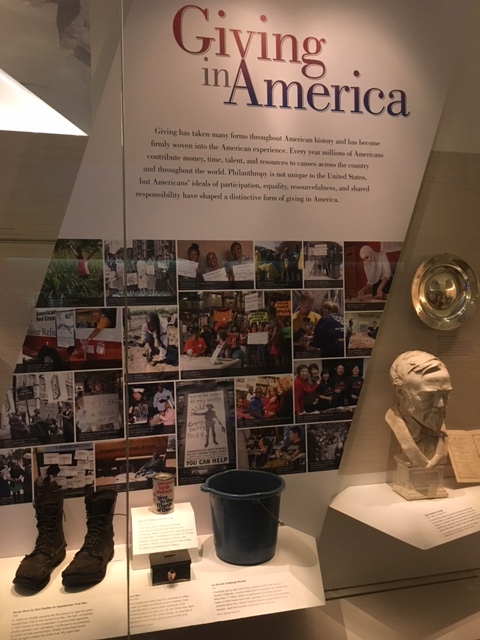 In November 2016, The original Ice Bucket used by Jeanette Senerchia on July 15, 2014 that launched what became known worldwide as the “ALS Ice Bucket Challenge” was inducted into the Washington D.C. Smithsonian Institution, National Museum of American History. 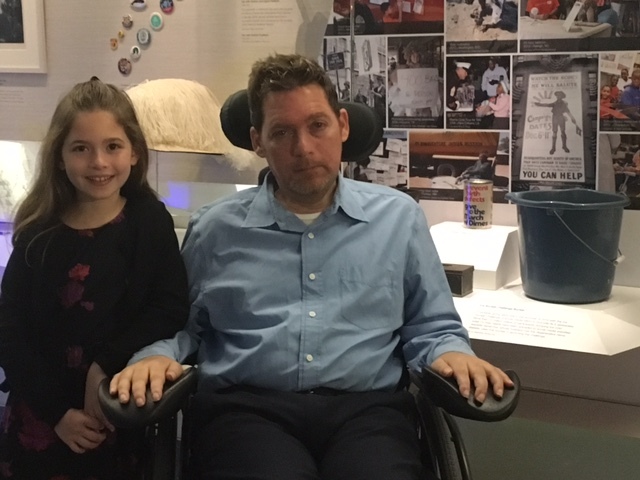 Anthony Senerchia Jr. with his daughter Taya at the Smithsonian Institution in front of his original ice bucket in November 2016. The ALS Ice Bucket challenge went on to raise over 200 million for the ALS foundation and other ALS research and advocacy organizations. 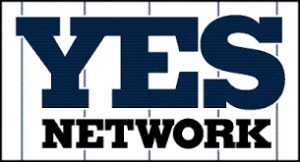 On Tuesday, November 4th, 2014 the The ALS Association Great New York Chapter held is Twentieth Annual Lou Gehrig Sports Award Benefit at the Marriott Marquis in New York City. 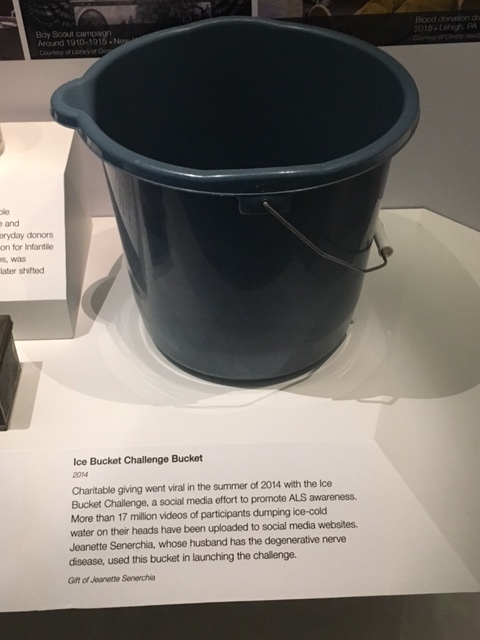 At this event Anthony and Jeanette Senerchia Jr., was recognized and honored by the Association for their work in the Ice Bucket challenge – which lead to over $100,000,000 in donations and over 3,000,000 new donors. “Not since Lou Gehrig was diagnosed in 1939, has the level of awareness for the disease been greater. The Ice Bucket Challenge will enable The ALS Association to step up the fight against ALS, and invest more in research to find effective treatments and a cure” said The Association. Please click the photo below for more about this event. 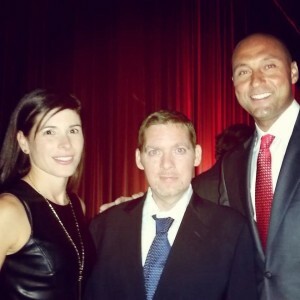 Derek Jeter of the New York Yankees presented Anthony and Jeanette Senerchia with their award! 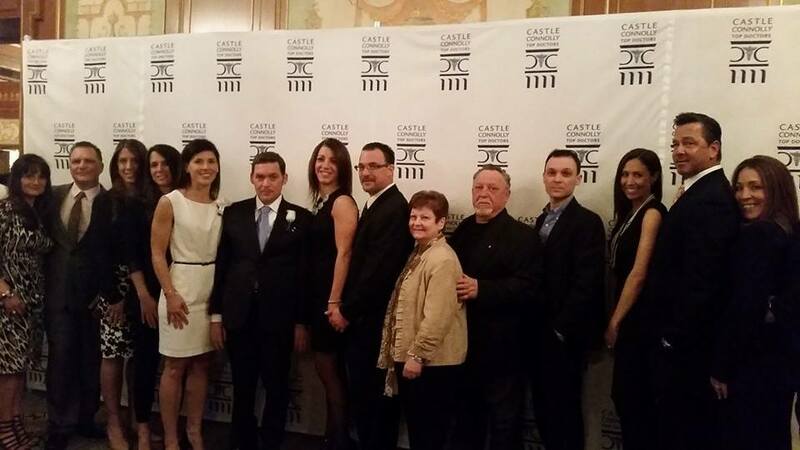 Anthony and Jeanette received the Castle Connolly National Health Leadership Award on March 23, 2015 in NYC. 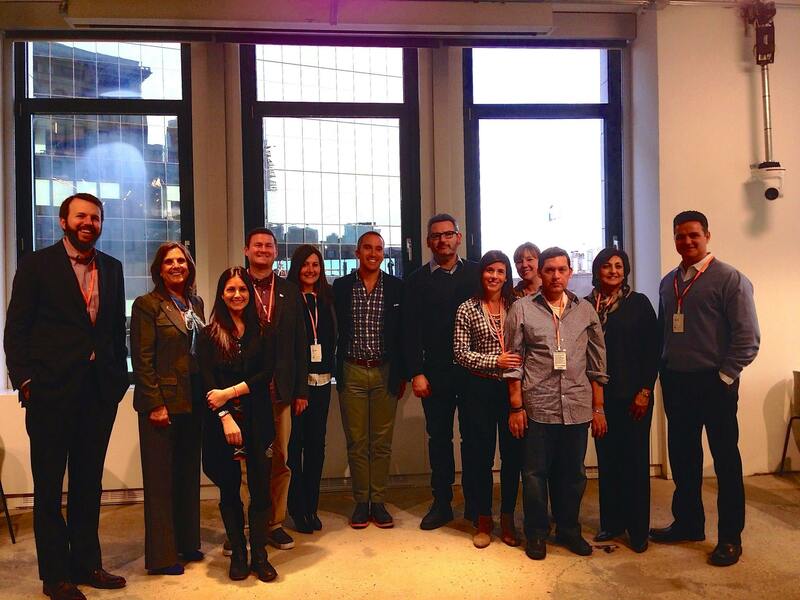 A big thank you to Mark D’Arcy, Jason Fournier and the entire Facebook team for hosting the Anthony Senerchia Jr. ALS Charitable Foundation on February 24, 2015. We appreciate your support in the fight against ALS! 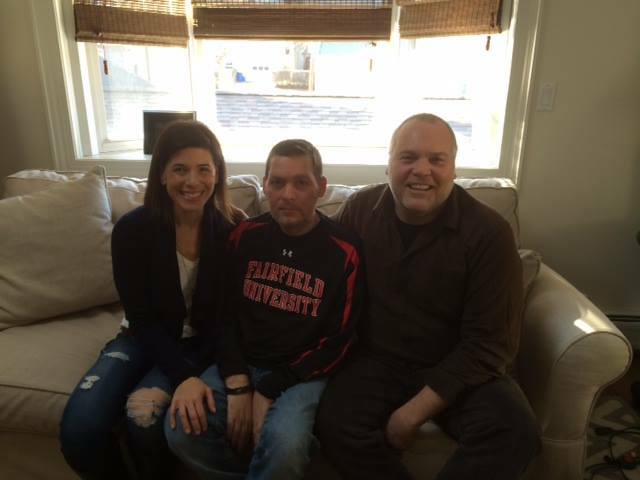 Actor, Producer and Writer Vincent D’Onofrio stopped by to have lunch with the Anthony Senerchia Jr. ALS Charitable Foundation on January 22, 2015. Thank you for your support Vincent! 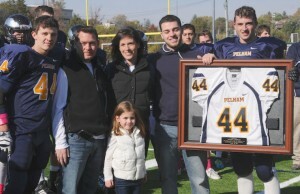 The Anthony Senerchia Jr. ALS Charitable Foundation donated $15,000.00 to the Columbia University ALS gift fund in October. 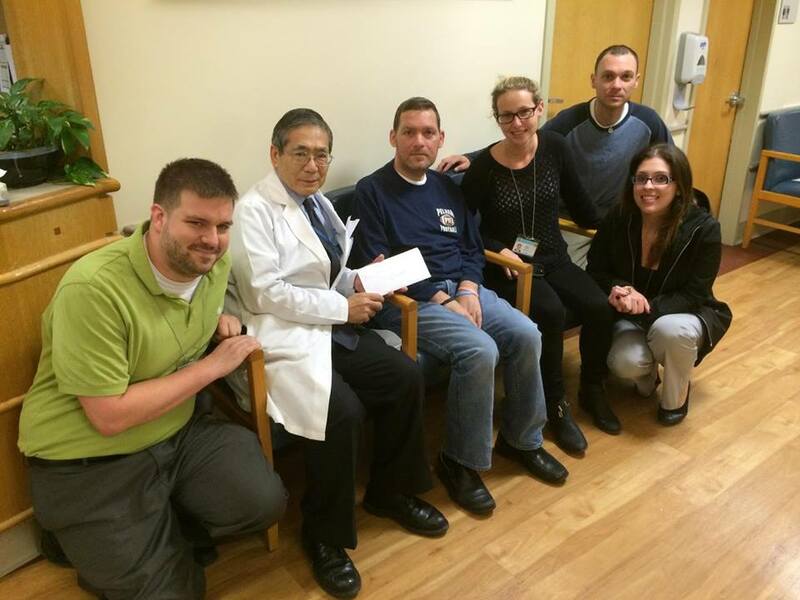 Anthony Senerchia Jr., along with his brother Joseph Senerchia presented the check to Dr. Hiroshi Mitsumoto, Director of The Eleanor and Lou Gehrig MDA/ALS Research Center in New York City. The opportunity to present this check was made possible by the generous donations raised during our Annual Strike Out ALS Softball Tournament and through the donations made directly to our Foundation as a result of the ALS Ice Bucket Challenge. Above: Anthony Senerchia Jr., Jeanette Senerchia, Dorine Gordon, President & CEO of the ALS Assocation Greater NY Chapter, Derek Jeter, Don Matingly, Bob Costas, Franco Harris, Keith Hernandez, and Kevin Brown Thompson and his family. ( Kevin is Former Wold Champion Martial Artist fighting ALS). 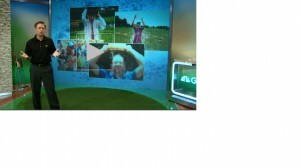 Check out the Golf Channel’s coverage of the Origins and Story of the ALS Ice Bucket Challenge by clicking the below photo. A wonderful story that will warm your hearts! 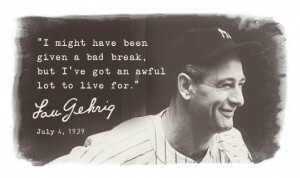 Click the above Photo to Watch Lou Gehrig’s Farewell Speech from July 4, 1939! Click the below Photo to Watch Anthony Senerchia Jr. Thank You Message From July 22, 2014. As of September 19, 2014 The ALS Ice Bucket Challenge Has Raised Over 100 Million Dollars in Donations and Generated Over 3 million new donors! Source ALSA.ORG. Check our their Thank You Video Dedicated to Everyone Who Took the Challenge and/or Donated! Anthony Senerchia Jr. also Thanks Everyone! Please visit WWW.ALSA.ORG for more information about ALS.